When it comes to income tax returns, April 15 (actually April 17 this year, because of a weekend and a Washington, D.C., holiday) isn’t the only deadline taxpayers need to think about. 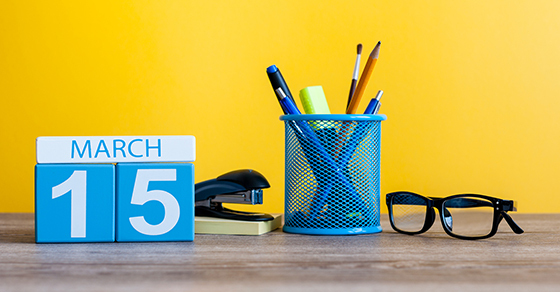 The federal income tax filing deadline for calendar-year partnerships, S corporations and limited liability companies (LLCs) treated as partnerships or S corporations for tax purposes is March 15. While this has been the S corporation deadline for a long time, it’s only the second year the partnership deadline has been in March rather than in April.